Calories in =/≠ Calories out ? Or, eating rice and remaining thin? Come on, man, you studied physics. Calories in – calories out (all channels, including excretion) = weight change. It’s simple conservation of energy. It *must* be true, as our understanding of physics allows no alternatives. Furthermore, if grains are really the root of all obesity, what the heck is up with Japan? Pretty sure they eat a whole lot of rice! Now one thing that might be true–and that I’m in no position whatsoever to argue about–is that sugars and the like are much easier to consume in a way that leads to habits of over consumption. And it might be true that sugars and the like are high-efficiency calories in that our bodies readily absorb a large fraction of them rather than excrete them. Those two things might be true. But the fundamental equation written above still holds. While I agree that if the body were just a calorimeter and we were burning the food and capturing all its energy this would be true. However it is not, and we do not capture all of the energy from food in the same ways. In fact, the metabolic processes involved deconstruct the food in lots of different ways, storing, metabolizing, and converting the food into energy using varied energy pathways. In addition to this, these metabolic processes, particularly insulin, are altered depending on other actions and activities external to what would be considered the metabolic process. In the case of insulin, sensitivity is increased as physical activity is increased. Increased insulin sensitivity means that the body produces less insulin to handle the same amount of sugar. Lack of physical activity leads to insulin resistance, which requires the pancreas to secrete more insulin to handle the same amount of sugar. It’s illustrated in the following documentary clip. That’s all great, but what does that have to do with Asian countries, rice intake, and their relative leanness. Looking in particular at Japan, where obesity rates are in the single digits (~3%), we can garner a lot of information from looking at their normal activity level. Measured Physical Activity and Health Behaviors in US Adults. When compared to Japan, where an average adult takes 7,168 steps per day, the US is woefully deficient, only taking 5,117 steps per day, which works out to about 30-40 minutes of work each day. (see also this article from the NY Times which looks at the previously mentioned study). Why is this important? Insulin sensitivity was improved in overweight patients during a study which put patients on an intense lifestyle modification program. In short, the abstract states “In this analysis, the most powerful determinant of improved insulin sensitivity in overweight coronary artery disease patients is the change in PAEE (physical activity energy expenditure)”. So we begin to see a trend of better insulin sensitivity in some Asian populations (in this case the Japanese) due to their generally more physically active lifestyle than the insulin sensitivity of people in the US. This correlates (which I agree is not causation) quite well to the difference in obesity percentages between the two countries. In addition to this, caloric intake is different in Japan than in the US. Japan enjoys mostly whole foods as their primary source of intake. In the US, caloric sources are more likely than not to be some sort of a processed food product (everything from hot dogs and raviolis to Hungry Man frozen dinners and Hamburger Helper). In fact, the US has 17,000 new food products made available to them every year. You can have an entire meal of prepared and processed foods without even trying. You might be able to make it through an entire month without repeating any part of any meal (well, maybe breakfast). While the Japanese may enjoy rice, they also enjoy it as a part of a larger meal filled with generally nutritious and unprocessed and natural foods. So yes, in a calorimeter, a calorie is a calorie. In a human, the metabolic processes make it much more muddled than that. Today’s workout involves pull ups. There are lots of ways to make or buy pull up bars, and you should absolutely have one. There are also pull up bars which will hang on a door jamb. (Please note that if you’re very tall, these will not work very well for you). These will work fine for most people. 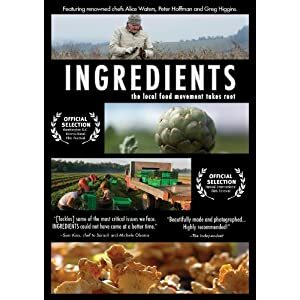 Incredients, a documentary about the local food movement, focusing a good bit of its time on the local food movement in Oregon and the rest on local food producers outside of New York City, is a beautifully made and constructed documentary. It provides clear insights, real-world situations, and thoughtful conjecture. It is not overly alarmist or inciting. It is a calm, fond look at local farming and how we can all, individually, make it a part of our lives. How did yesterday’s workout feel? How are you feeling today? Run 400m (one time around a standard running track. Otherwise, map it out using google or bing maps). 10 burpees (aka squat thrusts). 10 10 count plank (Count like this “One thousand one, one thousand two, …”). I will be developing workouts for the next 30 days to accompany the 30 day challenge. This programming is not meant to supplant or even supplement an existing strength and/or conditioning program that you are involved with, but rather for people that do not have any existing plan. My goal is to make this program accessible to people at home with minimal or no supplies. If you choose to follow this workout routine, you do it of your own accord. So I’ve decided that it’s time to refocus my diet once more and start eating paleo for a thirty day period. Today was day one. 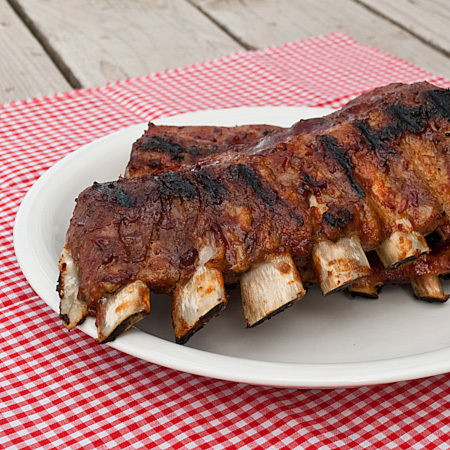 Ribs are delicious! How can you say no? I woke up this morning and weighed in – 214.3 pounds. I had been hovering around 208 for the past several months, and 214 isn’t unexpected nor even why I’m doing this. I’ve noticed a slow and general decrease in my overall sense of ‘wellbeing’, that nebulous term for “How do you feel at this very moment?” In addition, I had been letting some small amounts of wheats and grains into my diet from time to time, which I knew I wanted to guard against, but because ‘it was easy’ or ‘convenient’, they were slipping in with increasing frequency. Not good.